Did you know: all that cold white stuff turns in to whitewater! 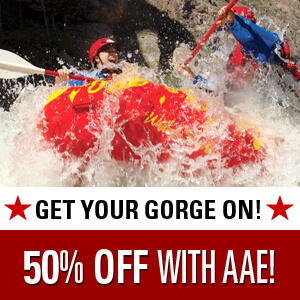 We’re in the thick of our busy summer Colorado rafting season and I must say I’m very impressed with our operation at American Adventure Expeditions and our Colorado whitewater rafting guests as well. This is my first summer working for a Colorado whitewater rafting company. I am going to recommend it to everyone wherever I go next….